The construction of a mega Medical Diagnostic Center in Liberia is now complete with its dedication taking place recently. The facility comprises of a three-storey imaging/laboratory building and adjacent four-story clinic/residence building. The National Social Security and Welfare Corporation (NASSCORP) carried out the dedication of the multi-million-dollar medical facility. The state-of-art facility will be of high importance since it will provide the much needed high-level laboratory and imaging diagnosis to thousands of citizens who unfortunately die as a result of common undiagnosed diseases. It will also save Liberians a lot of money spent on foreign travels for medical treatment. At the official launch, NASSCORP Executive Director Dewitt Vonballmoos said, the Medical Center contributes to the achievement of one of the key development goals that the former President Ellen Johnson Sirleaf was passionate about. On aggregate, NASSCORP maintains an investment portfolio of US $50m comprised of various projects designed to generate returns for the Corporation in the future. 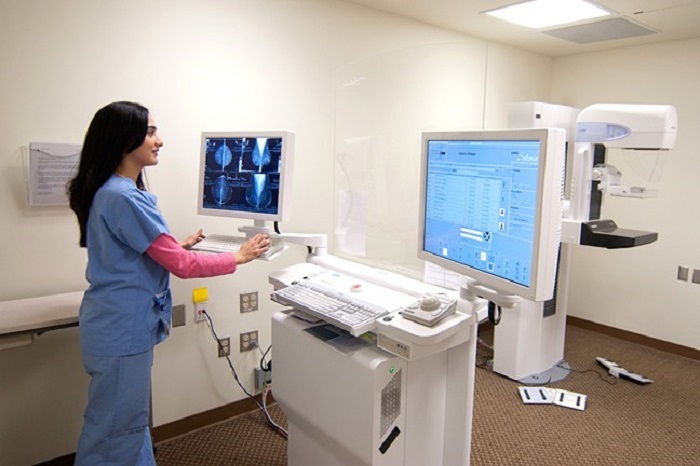 Imaging equipment for the facility includes; Toshiba Lighting Aquiline Detector; Row Ultra Helical CT scan; Hitachi Aperto Lucent Prime Open MRI; Canon/DelftDI Triathlon Dr. X-Ray machine and planned clarity 2D Digital Mammography (Mammogram). The mission of the Social Security Administration in Liberia is to provide future financial security for those under the scheme; employees of both public and private sectors of Liberia in the event of occupational injury, old age, invalidity or death.